If you're feeling adventurous, it is worth risking the soggy weather and trekking out to Millennium Park tonight to see legendary Husker Du front man Bob Mould play a free outdoor show. But if staying indoors is more your speed this evening, there's also a great free show at Empty Bottle with White Hinterland, Benjamin Booker, and Touched by Ghoul. Tomorrow night, local dreamy garage-rock quartet Ne-Hi plays at Emporium Arcade Bar. And on Wed 6/25, Cat Power plays at Ravinia with opener Rufus Wainwright. Here are some more great picks for the beginning of the week from some Reader writers. Massive posteverything act Swans play their second show in town tonight at Lincoln Hall. Monica Kendrick said, "There's something rare and magical about Swans—it was always there, but now it's turned up to eleventy-one. 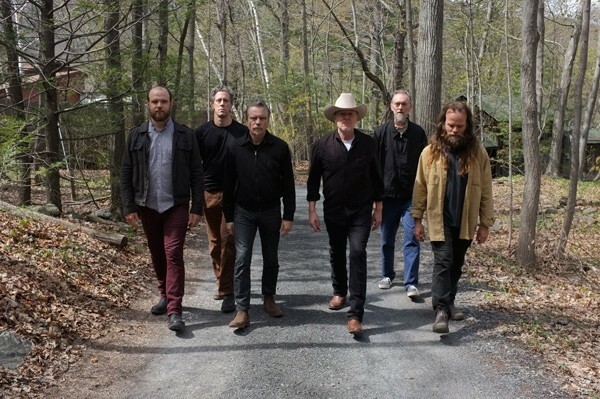 They're one of very few bands to spend three decades reaching their greatest incarnation, and they've put every phase of that drawn-out development to use—including a 13-year hiatus, before original guitarist Norman Westberg returned and Swans rose again, during which bandleader Michael Gira and percussionists Thor Harris and Phil Puleo honed their skills in Angels of Light. Like its predecessor The Seer, the new To Be Kind is a mesmerizing, transformational two-hour extravaganza—not the sort of thing a listener can take on lightly." Legendary Cream drummer plays two shows tonight with his jazz group. "Ginger Baker will probably always be most famous as the cantankerous, exacting drummer behind British rock juggernauts Cream and Blind Faith, but at heart he's a jazzman—and for the past couple decades, with only a few exceptions, he's been applying his jagged polyrhythms to the music he grew up loving. In the 90s he released a couple of excellent records with forward-looking players such as Bill Frisell and Ron Miles, but it's been 17 years since he released a new album," writes Peter Margasak. "That changes this week with the arrival of Why?, a brusque session made with a quartet dubbed Jazz Confusion, whose lineup includes former James Brown saxophonist Pee Wee Ellis, British bassist Alec Dankworth (son of singer Cleo Laine and reedist John Dankworth), and Ghanaian percussionist Abass Dodoo. Baker applies a wonderful drag and heft to the music, playing just behind the beat to create a masterfully modulated tension." "Los Angeles band La Santa Cecilia, which consists of Latin American immigrants and children of immigrants, made a splash last year with the infectiously breezy, bossa-kissed single 'Ice el Hielo,' which undercut its sunny melody with stark lyrics about illegals living in tension and fear," says Peter Margasak. "The group's accordionist, Jose 'Pepe' Carlos, was in immigration limbo until last year, when he finally secured a work permit and social security card. La Santa Cecilia recently won a Latin-rock Grammy for their major-label debut, Treinta Dias, and they carry on their vibrant hybrid sound on the recent Someday New."